Perimenopause is the period of time where your body begins to prepare for menopause. You might feel like you are going out of your mind, but don’t worry: it’s temporary and all the unpleasant perimenopause symptoms can be fixed. Everything you are experiencing now is normal (even if it doesn’t feel like it!). Everyone has different symptoms when going through perimenopause. Many women experiencing perimenopause find that they suffer from extreme mood swings. Emotional one minute, angry the next – and then extremely happy a few moments later. This can be tiresome for yourself you and it can also affect the people around you. The best way to reduce your emotional rollercoaster is to make sure you sleeping well and eating healthily. This isn’t enough for everybody though. If your mood swings are more intense consider a natural herbal remedy. St. Johns wart and Rhodeola Rosea extract are both natural mood stabilizers and anti-depressants which can keep you more balanced. One of the most common symptoms of perimenopause is poor sleep. Your body is going through huge hormonal changes that are wreaking havoc on your body and this affects your sleep pattern. The best way to help reduce poor sleep is to do some moderate exercise in the evening. Don’t overwork yourself, though. A twenty minute walk will suffice. If this is not enough then you could consider melatonin as semi-natural sleep aid. Be cautious of doctors prescribing sedatives as many are addictive and have serious side effects – as always, you should discuss this with your OBGYN in Barrie. These headaches are essentially migraines. Again, your body is beginning to go through some major changes and migraines can be a side effect of these. Unfortunately, migraines are a tricky one to cure. There is no one medications that fits everyone. The best option you have is to record the severity and frequency of them for your doctor. There are plenty of medications available with few side effects. You just need to find the one that works for you. 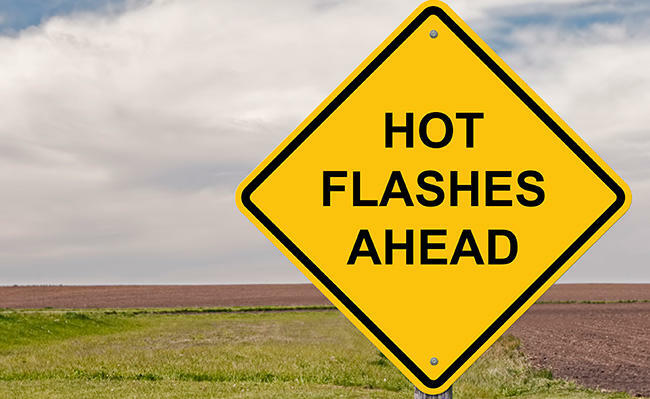 Although unpleasant, it is common for woman suffering perimenopause to experience hot flashes. You can feel your body temp rising and begin to blush and sweat. It can be embarrassing, but it is not a dangerous symptom. Wear clothes made of 100% cotton so that your skin can breathe. This will help you when the hot flashes do occur. You can reduce their occurrence by practising Yoga and meditation. Taking Omega-3 supplements is also thought to reduce the risk of hot flashes. 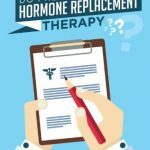 In serious cases you might want to consider hormone treatment, but this is best discussed with your doctor. 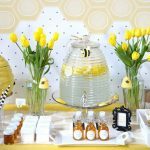 Want to alleviate your perimenopause symptoms? Schedule an appointment with our seasoned doctors in Barrie, Ontario. We have helped thousands of women get back to being their old selves despite perimenopausal and menopausal symptoms.